Homeowners who notice a sweet, pungent odor coming from their basement should inspect the room for mold growth. Basements are humid and damp, making mold growth a concern. Insect infestations are also a common problem in rooms used for storage, such as basements. Heavy infestations of insects can emit a sweet odor that is quite strong. Insects can cause basements to have a sweet smell. Basements that have a sweet or pungent odor may have mold growth. Most molds produce an earthy smell, which can also smell sweet. Basements often have mold growth because moisture seeps on basement walls or water leaks go unnoticed. The high humidity in basements also encourages mold to grow. Insect infestations are another common cause of a sweet smell in the basement. The University of Florida reports that bed bugs often emit a sweet odor from the oil they produce. Bed bugs can survive up to one year without food. These tiny bugs are reddish-brown and often infest furniture, toys, mattresses, box springs and bedding. Cockroaches may also emit a pungent odor that can smell sickeningly sweet or foul. This is most noticeable infestations are when cockroach populations are large. 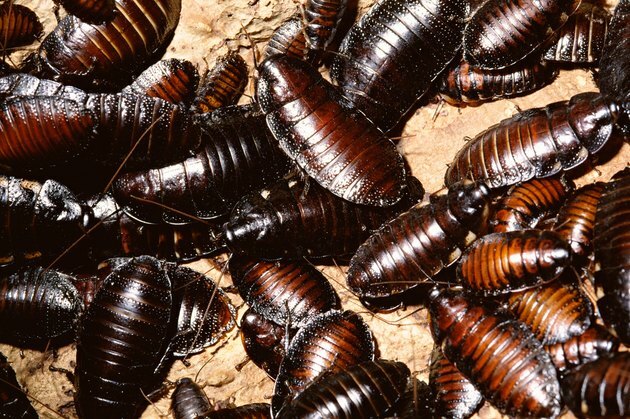 Most cockroaches are black or brown in color and can be very small or up to 2 inches long. If you notice a sweet smell in your basement, inspect it for mold growth. Look for black, gray, white or green splotches on drywall, carpet or wood. Mold grows when fungal spores land on areas of moisture, so any areas where water is leaking are susceptible to mold growth. A strong odor often means that mold growth is heavy. If you use your basement to store clothing or furniture, you could have an infestation of bed bugs. Look for egg shells or skin casts from molting bed bugs or live bugs. If bed bugs are squashed, they leave a reddish stain on fabric. Cockroaches may be visible if infestations are heavy enough to produce an odor. You may also see egg cases on the basement floor. If your basement has mold growth, you must remove it to prevent adverse health effects or damage to the structure of your home. Any area of mold growth larger than 25 square feet should be removed by a professional. People who have allergies to mold or serious health issues, such as asthma, should not attempt to remove mold themselves. To remove mold from hard surfaces, combine liquid dish detergent with water. Scrub the mold away and rinse with water. Dry with a soft cloth or place fans in your basement to speed drying. Bed bugs are difficult to eliminate and control. Homeowners who find signs of bed bugs should consult a professional exterminator. Cockroaches can be eliminated with insecticidal baits, traps and sprays. Heavy infestations may require stronger insecticides only available to an exterminator. After removing mold, find the source of moisture in your basement and remove it. Failure to eliminate excess moisture will result in mold regrowth. Placing a dehumidifier inside your basement may help reduce mold growth during hot and humid months. 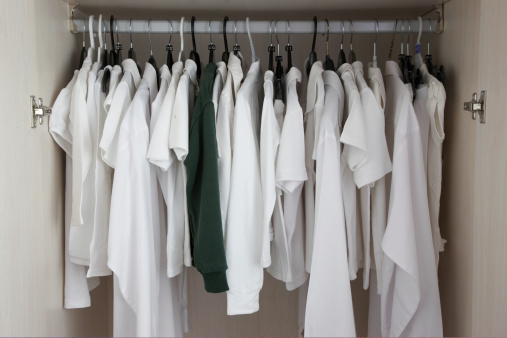 Eliminating clutter will help reduce insect infestations in basements used for storage. Insects like bed bugs and cockroaches breed in the shelter of cardboard boxes and in piles of clothing. Removing breeding sites will help prevent infestations of insects. Bed bugs often come into homes in second-hand furniture. Avoid bringing these items into your home to keep bed bugs out.